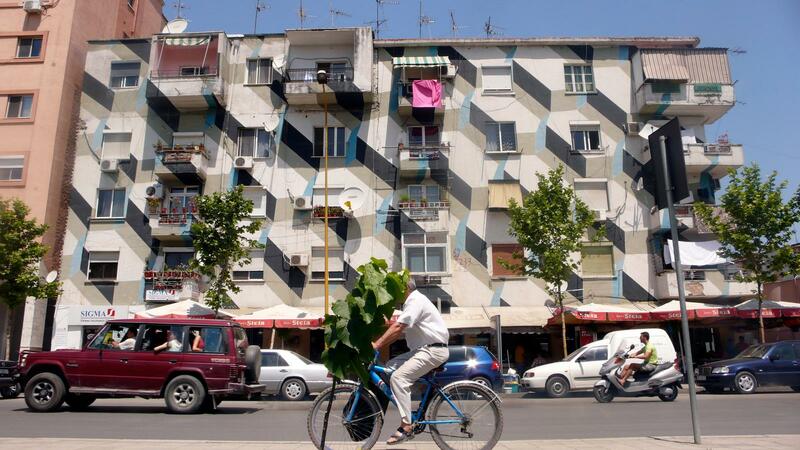 Conceived for U-Topos, the 2nd Tirana Biennale in Albania, the work transformed the urban landscape as part of a series of painted façades, conceived by various artists. Eliasson instigated the painting of a residential building with a twodimensional quasi-brick pattern. 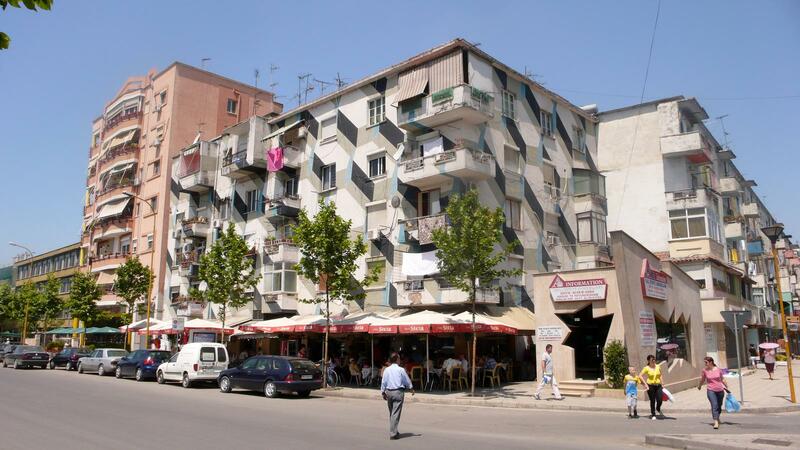 The shades of the different quasi-brick surfaces suggested that the façade was actually three-dimensional.